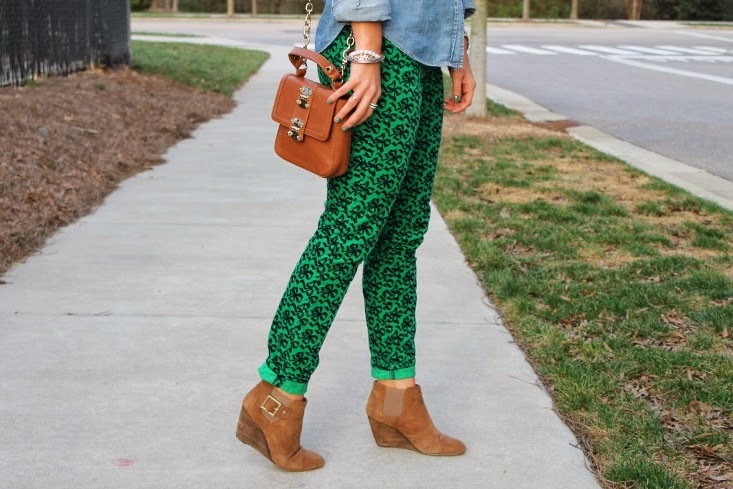 Love the combo of green and chambray! Cute! The bow print pants are cute! :-) I have always said it incorrectly and I found that out today. These bow pants are tops in my closet! Love the St. Paddy's Day Inspiration! Those pants are so lovely. OMG I love those pants!! So perfect for St. Patrick's and love the bows! Adorable!